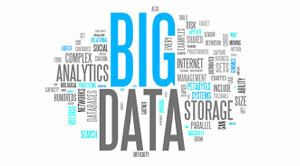 'Big data' is no longer a buzzword. Now that organizations have got accustomed to big data, the next level is to find the way to refine the data to bring out insightful and meaningful results. In the customer-centric world, businesses have realized that gaining a holistic view of consumer insights is the cornerstone to outperform competitors and increase productivity. Another trend that has gained utmost importance is capitalization of the cloud for storing a vast amount of data. In spite of that, large numbers of marketers are unsuccessful in obtaining consumer data accurately. Besides, meeting the stringent data regulations is another challenge creating a ripple effect in the big data landscape. While the majority of enterprises consider it as a risky venture owing to the concerns of security, others embark upon it for the sake of business agility. With a multitude of such transformations, enterprises are poised to embrace innovative ways to hold together the regulations of the corporate world and ensure their participation in the realm of big data. With the help of big data technology, marketers today are able to ensure digital governance and data protection and adopt an efficient data management solution that can manage, customize, and analyze consumer data. A big data solution’s superior ability to gather and analyze huge volume of data has enabled businesses to not only pull meaningful insight from data but also drive value and generate enormous revenue. To take the big data analytic capabilities to the next level, the majority of the organizations are implementing machine learning (ML) and artificial intelligence (AI) to allow systems to comprehend innovative things without programming explicitly. For the future, the implementation of AI and ML, coupled with IoT apps are going to be the key for data-driven organizations. Along with that, the incorporation of big data analytics into security programs assist in collecting information about suspicious activities that enterprises can leverage to predict, prevent, and mitigate future cyber attacks.